Sector representatives, commercial operators, non-commercial operators and individual government agencies have all expressed the requirement for documented standards in the past. The benefits that industry/sector standards provide to these stakeholders are diverse and each organisation may have different uses for the Adventure Activity Standards (AAS). The issues which led to the development of the AAS range from individuals looking for guidance on current equipment standards to government agencies seeking benchmarks for group size; and commercial operators requiring independent guidelines to support their own detailed operating procedures to insurers wanting to bring together what is often seen as a fragmented industry. The lack of consistency between the groups conducting adventure activities creates difficulties for land managers monitoring the environmental effect of such activities. One very good example of variation in acceptable standards is the Department of Education’s Outdoor Adventure Activity Guidelines requirements for commercial operators and those expected of community groups which have had little or no consistency. Because different groups have contributed and endorsed the AAS, the land managers can be confident that while the groups may not refer directly to the AAS, they should have their own guidelines which comply with the requirements of the AAS providing clarity in terms of group sizes, conduct and other matters relating to the long-term sustainability of the environment. Activity providers rightly take extreme care selecting staff and/or volunteers who lead potentially risky activities. The areas of expertise of the modern group leader range from communication and understanding legal requirements to activity specific skills and emergency protocol. There are many tools an activity provider can use to assess the leaders competency for the job but as each employer will use different systems this is an inconsistent and most are not independently recognised. The AAS benefit the activity providers, leaders and external stakeholders alike by providing a description of the skills expected of leaders at various levels. The AAS detail these skills by referring to the National Outdoor Recreation Training Package’s ‘Units of Competence’, which also promotes the National Outdoor Recreation Industry Training Package being used by registered training providers nationally. Where available, the AAS refer to the National Outdoor Leaders Registration Scheme (NOLRS) as the relevant cluster of units/skills for a particular activity conducted at a particular level. The general public and user organisations that contract commercial or non-commercial organisations currently have a gauntlet of barriers before they can assess the relative safety of activity providers. These issues can be as significant as knowing if the equipment is safe or if the leader knows the area. The AAS provide a benchmark that is easily understood by the community to ensure that groups participate in activity programs that reflect their needs, skill levels and the desired outcomes of the activities. Each AAS also contains the relevant contact information for organisations to contact for further activity specific information. The activity standards are designed to be adaptable, so that they can be developed further as requirements change. 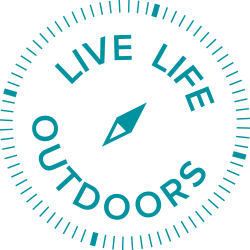 The Victorian AAS assist in keeping our sector informed and significantly help to ensure the long-term sustainability of outdoor recreation not only in Victoria but across Australia . AAS are not ‘risk management documents’. Although utilising current risk management templates and working closely with other risk management initiatives has ensured that adhering to the activity standards will be satisfying certain key elements entrenched in risk assessment criteria. The AAS cover aspects of activities, which directly relate to the safety of the leaders, groups and the environment on a program specific level.